This fall the Library joined CrossRef. CrossRef is an organization that allows us to create and register Digital Object Identifiers (DOI) for our master's theses. 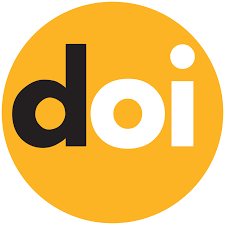 Even if you aren't familiar with the term DOI, you've probably seen them on your own published articles or you may have included them in a citation. A doi might look like https://doi.org/10.33015/dominican.edu/2018.hum.07; it's long, it's ugly, but it's super useful. The DOI is like a digital fingerprint: Each article receives a unique one at birth, and it can be used to identify the article throughout its lifespan, no matter where it goes. Developed by a group of international publishers, the DOI System provides a way to guarantee that digital copies of articles can remain accessible even if a journal changes its domain name or ceases publishing. DOIs increase the reach and impact of your work. Publishers, repositories, aggregators, indexers, and providers of research and academic profiles are now relying on DOIs to identify specific works accurately, which in turn more reliably links that work to its authors and creators. Furthermore, metadata and information about individual works are increasingly tied to DOIs. Over winter break we created and assigned DOI to our current master's theses with the exception of the capstones from Occupational Therapy. Unfortunately, at this time CrossRef can't register theses with multiple authors; they are working to change that this spring. If they keep on schedule with their updates we should be able to assign DOI to the OT capstones this summer.